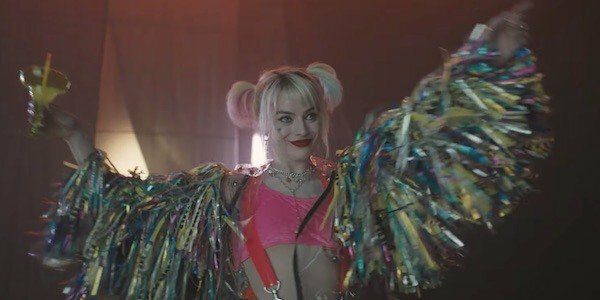 It’s been a while since we were introduced to Margot Robbie’s Harley Quinn in Suicide Squad, but she’s finally making her grand return to the DC Extended Universe next year in Birds of Prey. Granted, that is still a ways off, but for the cast and crew behind the film, they’ve just crossed a huge milestone, as filming has officially wrapped. Here’s how Robbie commemorated the big occasion. Finishing principal photography is a big deal for any movie, especially blockbusters. Birds of Prey began rolling cameras in January in Los Angeles, and there was also filming conducted in Georgia. Now, after three months, this stage of the creative process, and while there’s still a lot more work to be done until Birds of Prey (and the Fantabulous Emancipation of One Harley Quinn) (yes, that’s still a mouthful) is completely finished, as far as the performing side of things go, Margot Robbie and the other actors have done their part. Granted, there’s the possibility that Margot Robbie and others might have to come back later this year for reshoots, but those usually aren’t anywhere near as grueling as the main shoot. In any case, Robbie made sure to have her new Harley Quinn outfit on in the picture she shared on Instagram, so that was nice. Thus far, all we’ve officially seen of Birds of Prey is a video titled ‘See You Soon’ showing the main cast members in their current costumes, with Margot Robbie getting the most attention, no doubt because we’re already familiar with Harley Quinn from Suicide Squad. She’s definitely rocking a look significantly different than during her first outing with Task Force X and even in the comics, but that just lines up with her changed status quo in the eighth DCEU movie. When we last left off with Harley Quinn at the end of Suicide Squad, she was broken out of Belle Reve by The Joker and his goons, and the two were clearly still head over heels for one another. However, just like what’s happened in the comics, Birds of Prey sees Harley breaking up with The Clown Prince of Crime and embarking on her own in Gotham City, which is now unprotected due to Batman’s mysterious disappearance. It’s in this environment that Harley Quinn will cross paths with Cassandra Cain, a young girl who’s being hunted by Roman Sionis, a.k.a. Black Mask, because she’s come across a diamond belonging to the crime lord. Harley will team up with Huntress, Black Canary and Detective Renee Montoya to protect Cassandra from Sionis, although given that Harley is usually fond of lawlessness and chaos, just because she’s working with some good guys doesn’t necessarily mean she won’t complicate this already dangerous situation. Birds of Prey (and the Fantabulous Emancipation of One Harley Quinn) opens in theaters on February 7, 2020. Keep checking back with CinemaBlend for more updates on how it’s coming along, and don’t forget to look through our DC movies guide to learn what else this superhero franchise has coming down the pipeline.